When you’re walking and assessing a property, you’re going to want to absorb as much as possible. Every little detail is important because you’re going to want a good estimate of what the repair costs will be. Of course some unexpected costs will come up, but that’s why it is critical to know what you’re looking at and to get a good estimate. Once you figure out how much you need to purchase the house, what the repair costs are you can get to business! Make sure that the floor, ceiling and where the wall meets the ceiling are straight. 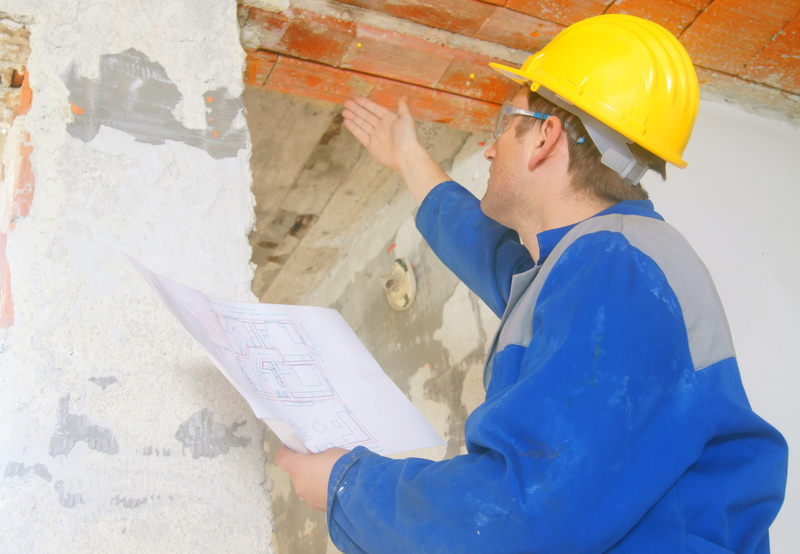 You’ll want to look for cracker larger than ¼ inch because that could mean potential foundation issues. See if the ceiling needs to be re-textured, whether it has a popcorn or smooth ceiling. It’s not necessary to to re-texture the entire house. You can spot-patch the smaller damaged cracks. Always plan on painting the interior of a house. Do not used customized colors, stick to neutral colors. Choose one color for the walls and one for the ceilings. It’s almost always necessary to replace old carpet. Like paint, you’re going to want to stick to a neutral color. Only get wood floors if it fits within your budget. Don’t forget to check under the carpet! Sometimes perfectly good wood floors can be found underneath. Cabinets can be repaired by being readjusted or painted. Counter tops will almost always need to be repaired. Replace the stove with a new stove from an after-market appliance store. And only put in a dishwasher if there is space. Stainless steel sink are inexpensive to replace, but you’ll want a higher-grade sink for higher income houses. 95% of houses don’t need a new box. A common electrical upgrade are fireplaces, electrical sockets, plugs, and light switches. Always install new light fixtures. People love ceilings fans with light kits, so you’ll want to replace or add fans where needed. It’s very important to have a bright kitchen and “Hollywood” lights for the bathrooms. Plumbing problems, like foundation problems, leave clues. It’s much simpler and cheaper to fix major plumbing problems while the foundation is open. You won’t always need a new tub, bleach epoxy paint and tub refinisher go a long way. If there is only a shower, make a budget for leaky shower pans. You can use pedestal sinks to make bathrooms look more modern and spacious. And lower income houses will usually need a new tub or shower faucet. One of the key areas that sell a home is the master bedroom. A huge part of making this look good is making the master bathroom look good. If the bottom of a water heather is clean, that probably means it’s in good condition. If you do need a new one, it’ll cost about $700. Leaving doors a darker color is cheaper. If the doors appear crooked and it’s not the foundation, check the door and door frame. You’ll also want to make sure that the doorknobs match throughout the house.